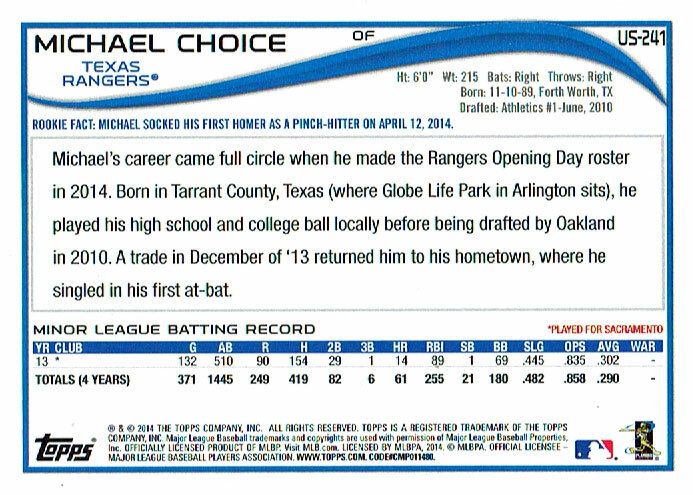 I finally managed to find Topps Update cards today, including this pair of Michael Choice cards. 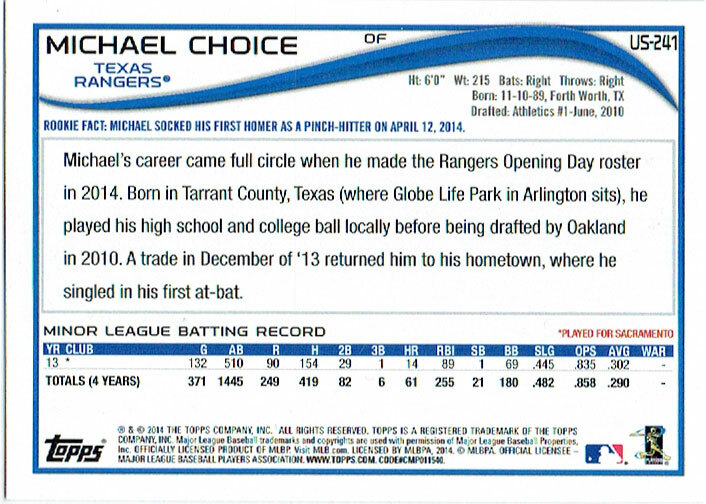 Choice, a former Oakland Athletics prospect, played in 86 games for the Texas Rangers this year after being acquired in an offseason trade for outfielder Craig Gentry and pitcher Josh Lindblom. 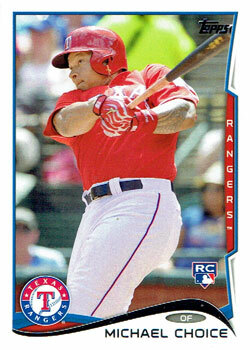 He didn’t really have an impressive rookie year – Choice hit .182 with nine home runs, 36 RBI and one stolen base. It’s unclear if he’ll ever be more than a supporting player in the major leagues. 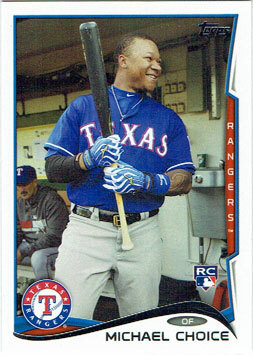 Nevertheless, Topps decided to make him one of the multitude of players with a short-printed photo variation card in this year’s Update set. I don’t think I would have paid any attention to it except for finding both versions in the same pack. If there’s a Rangers fan out there who wants the short print (or the pair), please let me know – I’ll be happy to trade for anything off of my wantlists or any 2014 New York Mets card. Next Post It’s the last day of the baseball season… who’s going to win it all? I’m interested. I can scrounge up something for you.